Ferland Mendy stands 178cm high and thus is about the same height as his team on average. 31% of Olympique Lyon's football players are left footers and so is Ferland Mendy. He was used in 41 of the matches in the present term. Back in 2017, French defender Ferland Mendy's contract with Olympique Lyon (France), the club he is still a member of, took effect. He is currently second in group F of UEFA Champions League, eleventh in Int. Champions Cup and third in Ligue 1 (France) with his team Olympique Lyon. Born on June 8, 1995, his age of 23 underlies his team's mean. 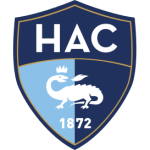 Prior to joining Olympique Lyon, Ferland Mendy played for AC Havre. The current Ligue 1 18/19 (France) term proves to be good for Ferland Mendy, as he managed to score three times (0.07 per match) and provide an assist three times. Basically, 3.8% of Olympique Lyon's goals in Ligue 1 18/19 were caused by him. He weighs 73kg which is just as much his team's average heftiness. So far this season, he won 17% in UEFA Champions League, lost 67% in Int. Champions Cup and won 60% of Olympique Lyon's matches in Ligue 1. They also managed to win 3 fixtures in a row in Ligue 1. 22 months has been the stubbiest period that Ferland Mendy was contracted to a team (the current one) The longest period that he stayed in a team was two years and 11 months in AC Havre (France) He wears the jerses number 22 strip at Olympique Lyon. In terms of top seasons, the Ligue 2 16/17 (France) was Ferland Mendy's best one yet, breaking two personal records in terms of not only goals but also appearances. From his professional start until now, he has performed in 126 matches in total and hindermost appeared 34 days ago. On average, he has participated in 9.7 matches per season. To date, collectively he holds 17 penalties. Lately, he seems to be more quiet since less penalties were given to him than usually. 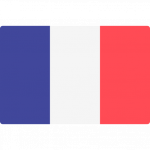 Altogether, Ferland Mendy was substituted in 16 and out 9 times. Currently, he entered the pit more than he left it which holds true for last season as well. 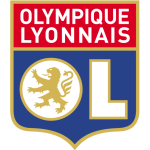 Olympique Lyon has nine more defenders in their squad, namely Jeremy Morel, Oumar Solet, Jason Denayer, Marcelo, Leo Dubois, Kenny Tete, Mapou Yanga-Mbiwa, Rafael da Silva and Fernando Marcal.